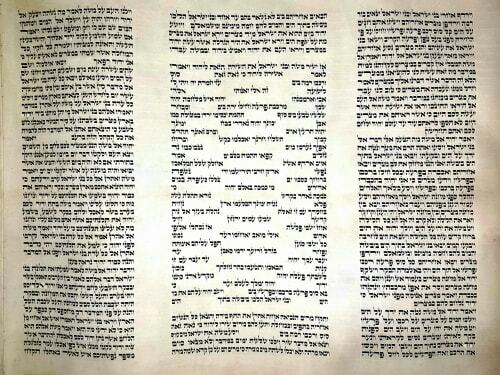 What is the symbolism behind the mesorah (why is the mesorah to write the words this way) to write Az Yashir in the format seen here and below - especially since the standard shira format looks more similar to splitting the sea. Browse other questions tagged torah-reading yetziat-mitzrayim shemot-exodus . Why is Barchu connected to communal Torah recitation? Spiritual meaning of splitting of sea? What is the inherent connection between 5 and being armed? Why is there a minhag to stand for the public reading of the 10 Commandments throughout the year?